There are 50 items in the categories listed below. 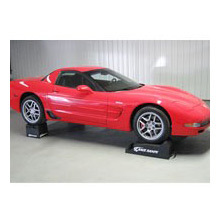 The easiest way to lift, show and/or transport your Corvette is by using Race Ramps from Zip Corvette. Race Ramps are practically indestructible while also being extremely lightweight. Because of their unique construction, they will not slide across a garage floor, dig into an asphalt driveway or scratch or otherwise damage a cement or painted floor. 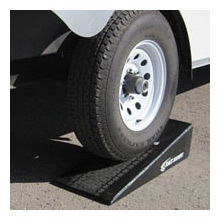 They can be used on grass, sand or almost any other flat surface and they will never rust. 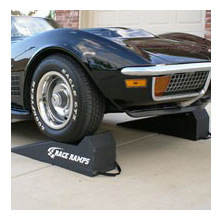 Most Corvette Race Ramp products come complete with straps for easy carrying and storage. 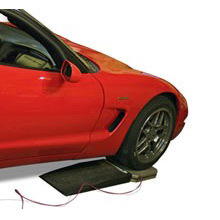 Best of all, Race Ramp products are made specifically for Corvettes and other high performance cars with wide tires and low ground clearance. Until now, Corvettes and other cars alike have been difficult to service, maintain and load onto trailers. Race Ramp products were made to solve all of these problems—and more.